With the ever-escalating popularity of online marketing, it seems like the world is becoming more and more digitalized. New emergent trends are taking the marketing sphere by storm. More websites are turning to WordPress to increase their online visibilities. Aside from contracting the most experienced writing service online company for high-quality content, you need the best WordPress them. It’s your blog’s skin. With that in mind, here is all you should know about selecting a WordPress theme for your blog. Put simply, a WordPress theme is the skin of your blog! It controls the look of your WordPress site. Typically, WordPress themes represent a collection of templates as well as sheets—that help define a WordPress powered site’s appearance as well as display. Building your blog on WordPress is one of the best things you can do if you are looking to establish an authority in the crowded online marketplace. With this platform, you have the power to develop the site you want. So, whether you are looking for that attention-grabbing image, that perfect footer, or want that business of yours to go viral, WordPress Themes got you covered. Predesigned to modify your website’s look as well as function, WordPress themes come in templates that work in unison to achieve a powerful graphical interface. So, if you are planning to build your website on WordPress and not sure which theme to choose, here are top factors to help you get started. Have a simple as well as a clean WordPress theme. With a simple theme, your visitors are able to focus on the contents of your website. It also helps them stay longer on your website—clicking through more links which translate to more traffic. Does it Have Common Plugins? You’ve contracted the most experienced content writing company for high-quality content. Congratulations! A blog is all about content. However, the way your content is displayed is also vital. It should be displayed in a creative way. With WordPress themes, you have the power to design your blog to reflect your personal style. Take care of your plugins. A WordPress site usually has plugins for SEO (search engine optimization), contact forms, backup, adding legal pages, as well as social sharing. 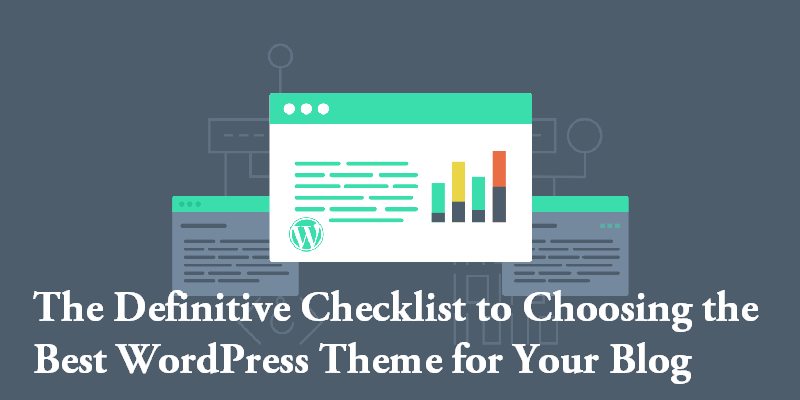 Ensure that the theme you choose doesn’t conflict with these plugins. Conflicts may occur if your theme includes or defines a code that’s similar to that of these common plugins. Your theme should actually come with default styling for all these plugins. In the present world, most of the traffic comes from mobile devices. Google, in the year 2018, made mobile site speed an essential component for ranking search results. Your website must look and function well across various devices. And your theme plays a significant role in this. Choosing a highly responsive WordPress theme can help pull more traffic to your website. It’s also very important that your website works well across browsers. While it isn’t necessary to have a theme that supports old browsers like Internet Explorer 6, you ought to make sure that it’s compatible with major browsers. Choose a theme that reflects your blog’s purpose. For instance, a blog should have a theme that promotes readability as well as attracts typography. On the other hand, a portfolio blog demands a theme that can stylistically showcase images. And if you are marketing your website, a simple and organized theme is all you need. The latest WordPress version (5.0) offers a new editor experience referred to as Gutenberg. This feature allows for dynamic editing and makes it easier for you to check how your blog post will look in the editor. So, be sure to choose a theme that’s WordPress 5.0 compatible to achieve the best results. Does it Support Page builders? Get WordPress theme that supports various page builder plugins like Visual Composer, Elementor, and Beaver Builder. These page builders allow you to create special landing pages using a drag-and-drop interface. Sometimes you’ll need the developer’s help. So, be sure to find one that provides ticket-based or forum-based support. If you want to achieve excellent results, get a developer that swiftly responds to support requests. A good theme comes with numerous customization options. However, they shouldn’t be too much or too less. Websites with few options tend to feel empty while those with too many look complicated. Ideally, you need a theme that enables you to customize the colors, branding, typography, and navigation. At times, basic customization options aren’t enough. In this case, you’ll need an extendable theme. Typically, this is achieved by creating a child theme. This allows you to extend your parent theme’s design beyond basic customization. Sometimes basic customization options are not enough. You need more than changing colors and typography. You have contracted the best writer and you have high-quality content. You expect more visitors, right? They will come, but they won’t stay if it loads for years. According to research, most visitors quit websites that take longer than 3 seconds to load. Watch your site-speed; pick a light theme that loads fast on the browser. It should send a few server requests and leverage the most from browser caching by connecting with server resources. Just like any other open source software, you need to regularly update your WordPress. Choose a theme that keeps up with updates to avoid website breakages. Check how frequently the developer updates the theme to provide support for upgraded versions or fix arising issues. Your website must be fully accessible to everyone. Your chosen theme should allow for optimal accessibility and support. It should cater for people with disabilities, allowing them to perceive, understand, and interact with your website. When configuring specific theme options, documentation comes in handy. Make sure that the theme you select features proper documentation regarding its installation and configuration. A good WordPress theme features appropriate heading tags, correct HTML5 structure tags, and proper outputting. Besides, it offers basic schema support or both web pages as well as blog posts. The WordPress theme you choose for your blog is one of the selling points when it comes to online marketing. Of course, you have built a wonderful blog. You’ve outsourced your content from the best ewriting service company. Your site is securely hosted. What about the display aspect of your blog? Well, choosing the best one can be challenging—especially for beginners. Luckily, with the above pro tips, you can nail that WordPress theme that reflects your style and your website’s main selling points.